I'm all about the shopping experience. Stores that are too cluttered or difficult to navigate send me straight to the exit, even if I really did want to make a purchase. 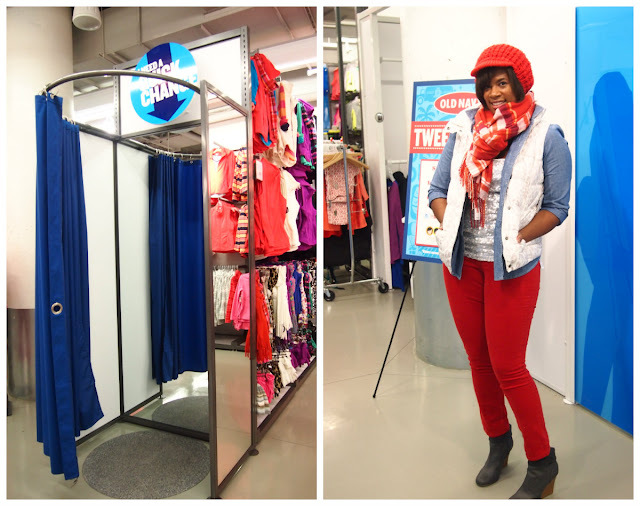 Thanks to a recent remodel at their Toronto Eaton Centre location, Old Navy is one spot I'll find myself browsing comfortably this season. The newly designed, 20,000 square foot store has brighter lighting and clearer signage so you can easily figure out what deals await. Fitting rooms are now centrally located so that you can't miss them and there are also "quick change pods" in most departments so you can try something on without having to wait in line. I also love that the revamped store is now arranged by category. This makes it easy to find what you're looking for whether it's sweaters, denim or outerwear. Ever try to get in and out of the mall quickly when shopping for a staple like a basic black tee? 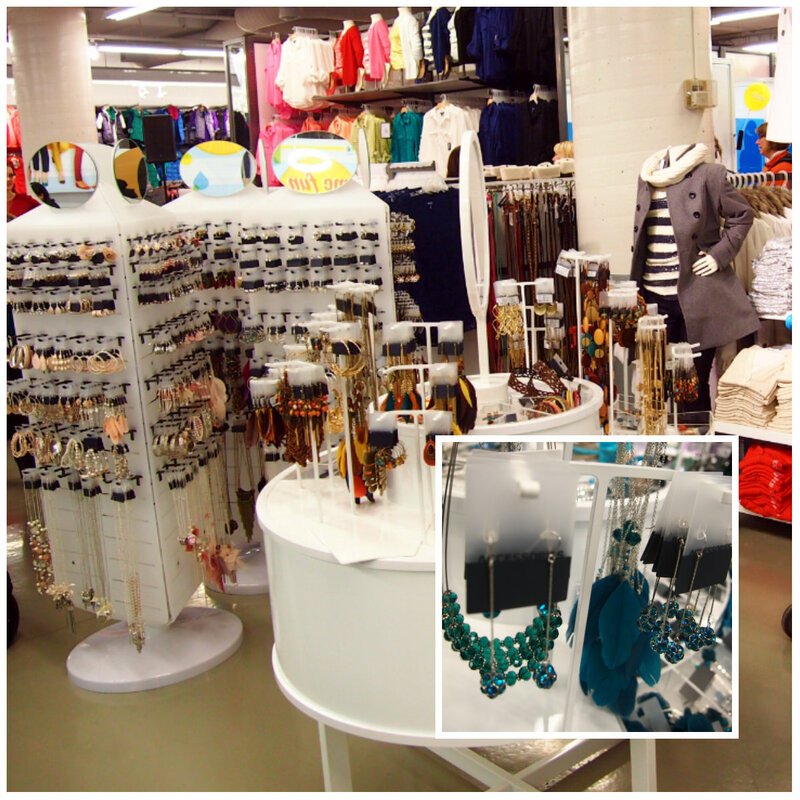 With the new layout at Old Navy, speed shopping is totally possible. Along with store improvements, I noticed this location has a much larger selection of very cute accessories and I was hard pressed to find anything over $15. If you haven't been to visit in a while, the new jewels might be reason enough. Old Navy remodels will continue to take place across North America through the new year but here in Toronto visit the Eaton Centre location now to enjoy a new and improved shopping experience, just in time for the holiday rush. Old Navy is starting to remind of this store called Uniqlo - a lot of basic staple pieces in all the colours of the rainbow.